Thank you for your interest in the New Trier Jazz Fest evening concert. At this time the concert is sold out. However, we are creating a waitlist, as we typically have some tickets turned in the day of the festival. Please fill out this form if you’d like to be put on our waiting list. 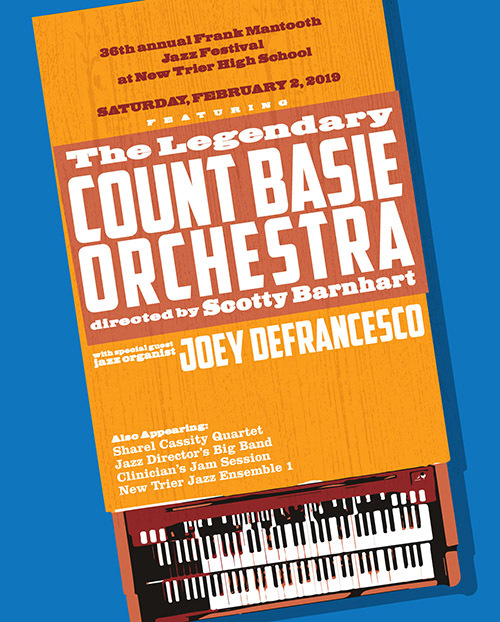 We're thrilled to announce that our featured artists for the 36th Annual New Trier Jazz Festival will be The Legendary Count Basie Orchestra with special guest, Joey DeFrancesco!